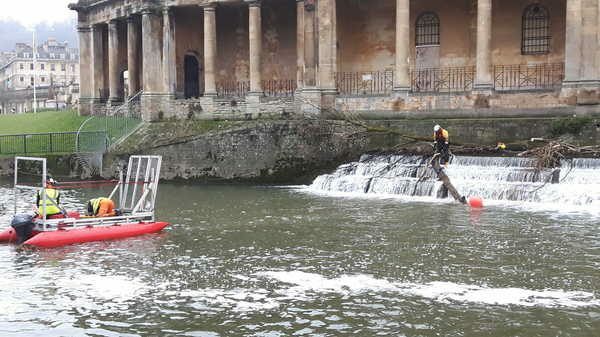 The River Avon runs through the centre of the city and passes over the weir and historic bridge at Pultney Street. 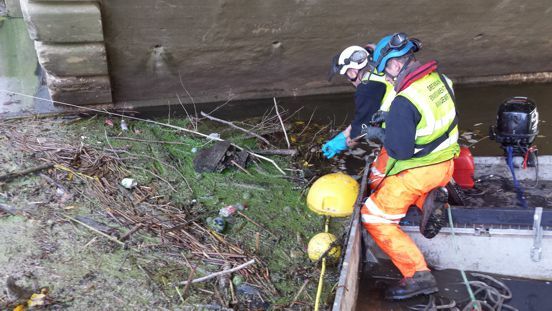 Greenman provide various services to the local authority and use our specialist boats and craft to carry this out efficiently. 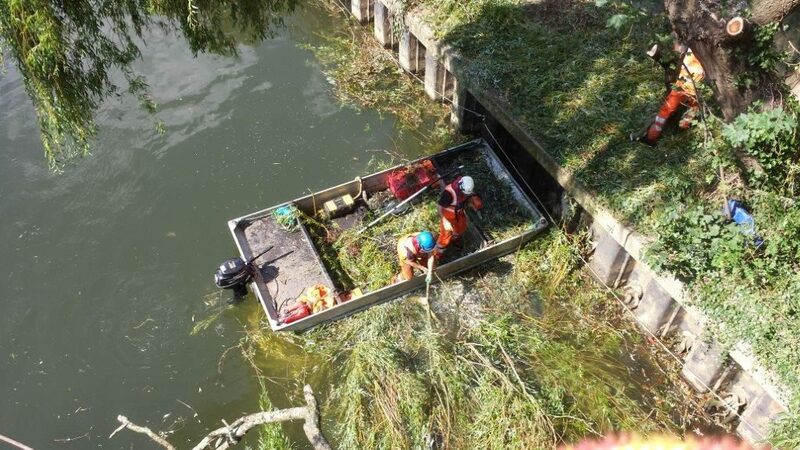 Using our unique self drain catamaran we can work directly within the weir waters. 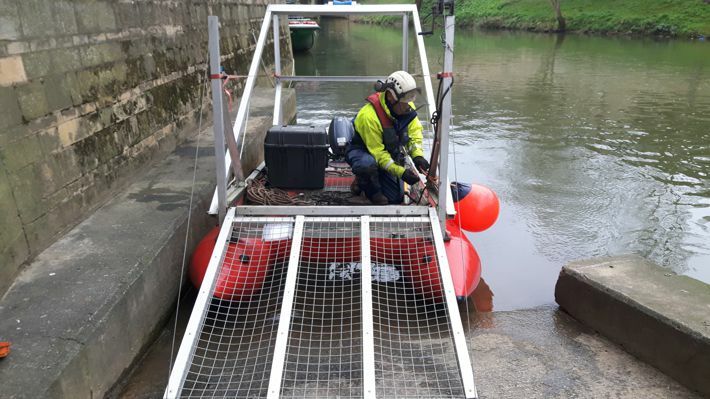 The craft has various attachments such as the landing craft platform for ease of loading or removing river items. 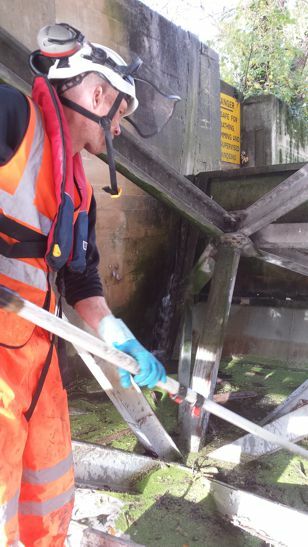 This has been used to remove lodged items in the weir and combined with the `A’ frame and 1.5t capstan winch makes the boat very adaptable. 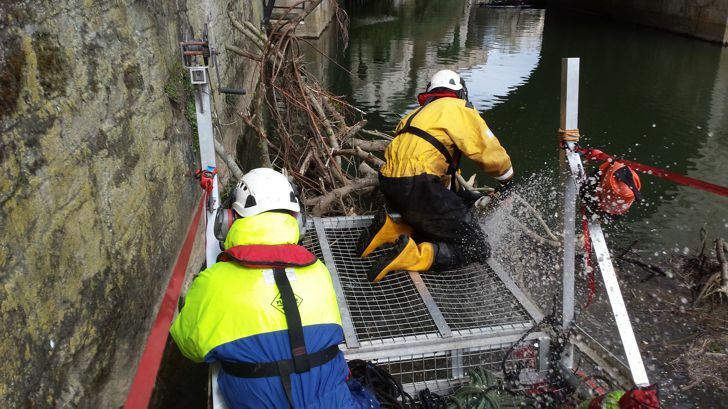 Tree roots, dead farm stock, lodged boats and general debris have all been removed to keep the weir clear for navigation and tourist purposes. 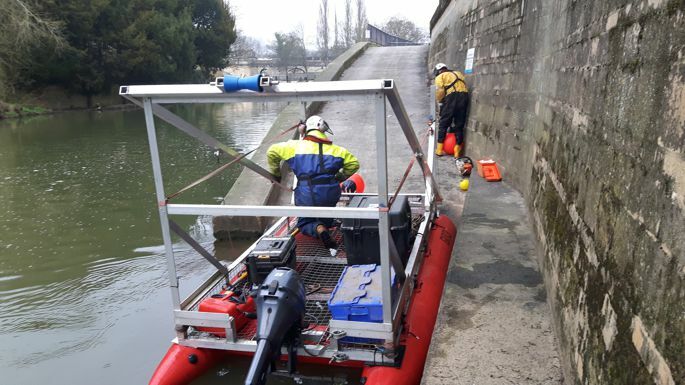 Greenman were asked if we could assist with the river depth survey along the stretch of water from the weir to Pultney Bridge. 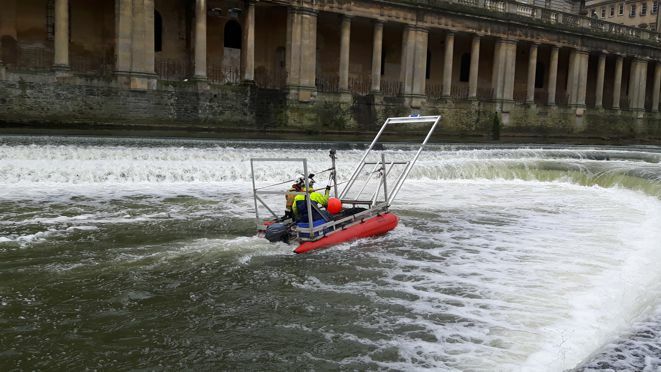 We used our rib with ground scanning radar to provide profile pictures and accurate depths for the project surveyors.